A horrific whodunnit is a foot in Great Missenden. Earlier this month, Lesley and Andrew Sapsford woke up to find two of their alpacas — both pregnant — had been beaten to death. The following day, Ragamuffin, a four-month-old baby alpaca was also found murdered. The three animals were found in their shelter. Which blocks the view of the animals from the outside. The Sampfords believe the culprit purposely attacked the animals in the shelter so no one could see and that it&apos;s most likely the three thought the attacker was going to feed them. Now they are horrified that the criminal will come back and harm their remaining herd of 80 alpacas. There have been a host of brutal cases of serial animal abuse leading to death in the UK over the past several years including a serial animal killer in London who has killed more murdered more than 350 animals — mostly pets. The people that commit these crimes pose a threat not only to our animals and wildlife but also to society itself and they must be caught and prosecuted to the fullest extent of the law. Currently, officials are looking for the people responsible for alpacas&apos; deaths but it is important to make sure they don&apos;t give up the search. 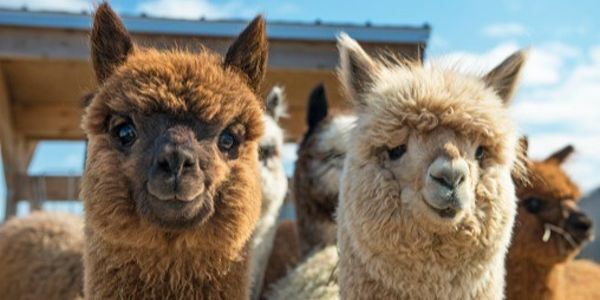 Please sign the petition and tell police that you are behind their search for the alpaca murderers one hundred percent.